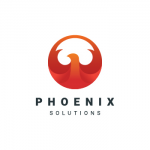 VIRGINIA BEACH, VA , October 26, 2018	(Newswire.com) - ​​Phoenix Solutions is bursting at the seams right now, due to the exponential growth that has taken place in the past several months – and the firm has Jaylyn to thank for much of their current momentum. Jaylyn became the first event manager for the company’s new campaign, and now she is training others in the office to be part of the project. She also received a record-breaking donation, and was the first in the country to hit $500 worth of donations for one of our national partners. To help potential Phoenix Solutions leaders like Jaylyn develop their full potential, Mateen discussed strategies the firm’s coaches share as part of the training system. For instance, they encourage every team member to develop a personal philosophy. This will help associates line up their thoughts with their words and actions across any environment, building a foundation of integrity in every area of their lives. Also - and this goes for veteran team members as well - optimism is key. Long before Jaylyn hit all her remarkable achievements, she believed in the possibility of her success, which opened the door to her accomplishments. A powerful tool to help one develop the habit of optimistic thinking is to write down three good things at the end of each day, just before bed. Recovery is one of the most overlooked practices of effective leaders, but it’s essential for sustained effort. Similar to the way athletes risk injury if they push themselves too hard, a high-performance associate avoids burnout with the same simple, healthy habits. Sleep, diet, proper hydration, exercise, and a mental practice like yoga all have important roles to play in keeping the mind and body of a busy person in top shape. Another important leadership tip is to look at setbacks as learning opportunities. This involves cultivating a growth mind-set, because we have to think improvement is possible. Then, we take whatever lessons we can from the missteps we make and use them as motivation to work even harder. These are all traits that top Phoenix Solutions producers like Jaylyn embody, and with those and other frontrunner qualities Mateen is sure that Jaylyn’s star is on the rise.